thanks to a proprietary pat. pend. machine Plasma uppers and footbeds are fully fit customizable. 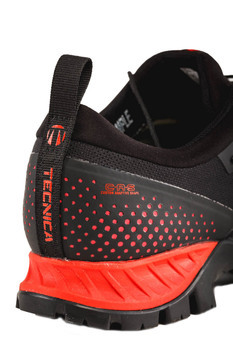 It is the first shoe which can be shaped around each individual customer's feet delivering a unique custom fit feeling, precision, support, comfort and zero break-in times. The operation is done in a limited number of specialty retailers worldwide in only 20 minutes. 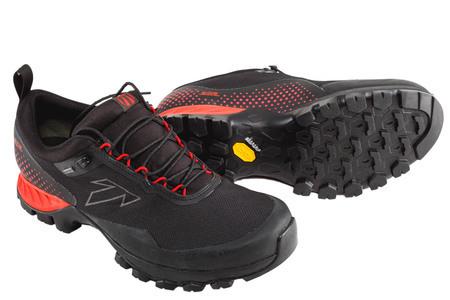 It is the only shoe in the industry where outdoor specialty shops can offer a great added value of their service to consumers versus mass sports chains or online sales. 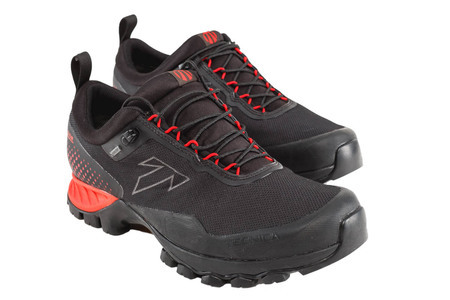 Plasma is a modern, light, agile, cool looking hiking shoe with a great anatomic out of the box fit, overlap design, megagrip Vibram outsole and Gore-Tex lining. Das bislang nur von Skischuhen bekannte Anpassungssystem hat Tecnica erstmals bei Outdoor-Schuhen angewandt. So bekommt der Kunde den perfekt angepassten Schuh.